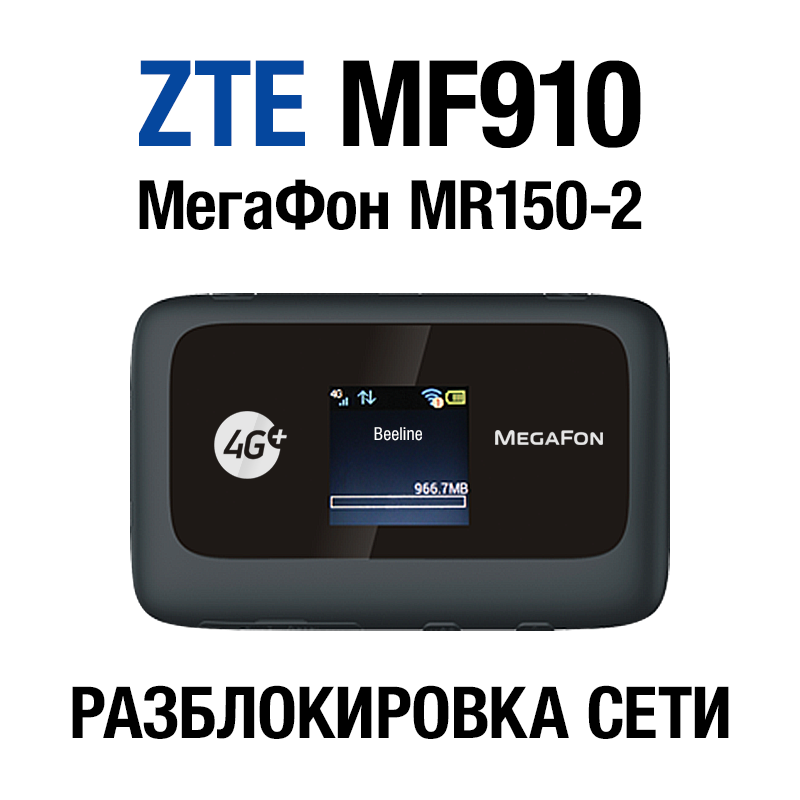 Unlock network router ZTE MF910, he´s MegaFon MR150-2. After unlocking the router becomes a universal, ie can work with SIM-cards of any operators. WARNING! This product contains the code to unlock the program ZTE Unlocker. Do not enter the received code directly into a router, it is intended to unlock through ZTE Unlocker. If you for some reason have not been able to read the data router using ZTE Unlocker, do not purchase this product. - Unlock Code is issued automatically, without operator intervention, immediately after filling in the form of payment and the necessary data. - The urgent request: before you buy carefully and completely read the description of the goods in order to avoid misunderstandings. - Make sure that your device is in the list of supported models. Additional instructions for reading the data for this model you will find in the following archive with the program "ZTE Unlocker". 3. Connect the router to the PC and follow the reading of the data, according to the enclosed instructions. 5. If the reading of the data produced successful purchase this product and enter the registration form obtained IMEI and model of the device in a free form. Your unlock code is immediately displayed in the same window in the "paid goods." 6. Enter the unlock code received ZTE Unlocker program and click the "Unblock". 7. After rebooting your router will be universal, that is able to work with SIM-cards of any operators. The payment is made, you agree that you have carefully studied with the description of the product, the instructions for the software ZTE Unlocker, have all the necessary data for the unlock and understand how to use the unlock code obtained. Otherwise, the service is completed in full and the money will not be returned. If you have any problems with your order, contact the seller, your situation will be reviewed within 24 hours. Ключ подошел!!!!! Ура!!! (только через программу! )я конечно очкую проги всякие на кам устанавливать но все нормально глаза бояться руки делают рекомендую парни незря свой хлеб зарабстывают сравниваю со сторонними сайтами где меня на 700 р кинули русик привет из вк!!! Очень грамотные ребята. Ответы онлайн-специалиста очень быстрые и лаконичные. Сервис - не обман!!! Реально рабочий софт и код полученный у них мой аппарат от Мегафона разлочил без всяких проблем. ЧЕСТНЫЕ РЕБЯТА!!! Не дорого, а главное без развода работают. Побольше бы таких сервисов в плане честности и качества обслуживания!!! Ставлю твердые 5+ !! !